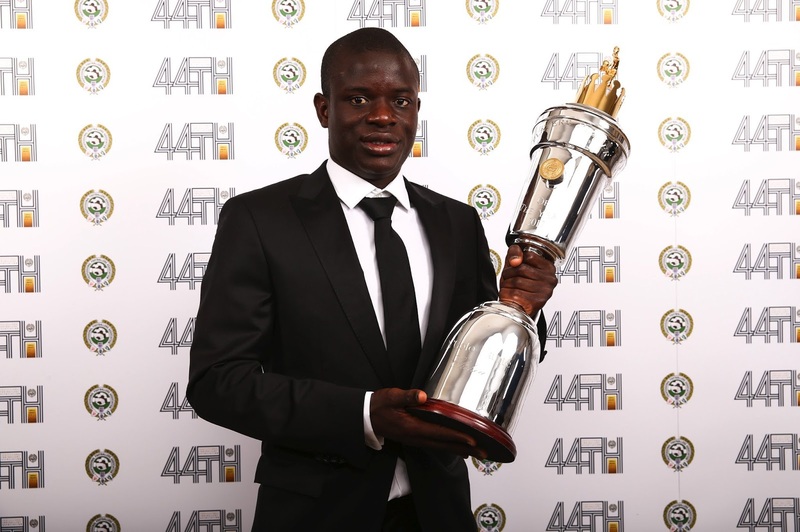 Chelsea midfielder N’Golo Kante has been voted the Professional Footballers Association Player of the Year award, Completespprtsnigeria.com reports. The award ceremony was held on Sunday night. Kante was voted as the best player in the Premier League for the 2016/2017 season by his fellow professionals. The Frenchman beat Chelsea mate Eden Hazard and Manchester United’s Zlatan Ibrahimovic to second and third places respectively. Tottenham’s Harry Kane, Arsenal’s Alexis Sanchez and Everton’s Romelu Lukaku were also nominated. Kante’s teammate at Leicester City Riyad Mahrez won the award last year.